The jury were sent to deliberate this morning following a summation by Justice Cooke in which he summed up the two cases as presented before the court by prosecution and defence counsel, as well as directions regarding the law. The jury was, however, hung and as a result Bodden was granted bail and bound over to appear before Justice Cooke on Friday morning for mention and a new listing date for a second trial for the same charges. Bodden has been accused of importing four handguns and ammunition, which were concealed inside a toy car. While the crown’s case is that Bodden knew about the contents of the package and claimed ignorance in the lead up to the package being examined to cover her tracks, the defence has said that Bodden did not know and made it abundantly clear she did not know, having revealed that she was not expecting the package to a number of law enforcement authorities. When Bodden went to clear the package through a local shipping agent and customs, she did so in the accompaniment of a police officer. Defence counsel Ben Tonner has throughout the case claimed that his client should never have been charged as she simply did not know aboutthe guns and had alerted the authorities on several occasions to the fact that she was not expecting anything from the United States, which is where the package originated. During the trial Tonner said that the arrest and charges against Bodden sent a terrible message to the community that by being honest people could find themselves in the same position — in court facing a risk to their liberty. Reading about yet another broad daylight shooting taking place (this time near Batabano Plaza in West Bay) has become so common place and so thoroughly unsettling that the standard bewildered response is annoying for being cliché. Theories abound as to why the country is rapidly and steadily being flushed down the toilet. “Going down the drain” is simply too nice and nowhere nearly as accurate as the violent, mucky reality that we find ourselves in. Those of us who are firm believers in preventative measures versus knee jerk reactive responses are not surprised to find our nation, and ourselves, in this place. Our “head-in-the-sand-until-something-is-kicking- us-in-the-behind-thus-forcing-us-to-look-up-and-acknowledge-its-existence” approach is as much a part of our heritage as Rundown, Batabano and camping on Easter weekend. For weeks now the public outrage has poured in regards to the state of crime and security in our beloved Isles. These passionate outcries often end up turning down the well trodden arguments of Caymanians and expats, or PPM vs UDP, and soon the blame game starts and its all useless finger pointing as those arguments join the rest of us making their way down the aforementioned toilet. Seeing as we all have our theories as to why these things are happening, kindly reconsider this old proposition: crime in Cayman is escalating because we, the law abiding residents of the Cayman Islands, allow criminals to commit them thus making said criminals believe that they can do what they wish to do. In other words, because we allow them to they think they can. How do we do this? The obvious answer is by not reporting that which we have seen or know. The perhaps not so obvious answers lie in our behaviour. As outraged and enraged as some calls to our daily talk shows, and even letters to our newspapers, are they are equally as full of fear and despair. Take, for example, the statement that was submitted by the Minister’s Association on crime and security. In particular, take a look at point number 6 where it states: "We call upon the authorities to institute curfews and states of emergency whenever necessary to restore the tranquility of the community, without fear of unpopularity from any quarter." The imposition of curfews and the declaration of "state of emergency" (martial law) are extraordinary measures in any democratic society (and more commonly used and abused in dictatorial regimes) and should not be taken lightly. Clearly the security issue in Cayman has proven to be more than deserving of our attention and reaction (perhaps in a few years time we will learn how to be proactive), but calling for such extreme measures is not only absurd, but detrimental to our community morale. A state of emergency is often used during periods of civil unrest- usually meaning riots, sabotage, violent demonstrations and overall chaos. That is not the case here. Curfews and martial law restrict the civil liberties of all citizens. Curfews and martial law disrupt the lives of all citizens. Why should we EMPOWER the criminal element by suggesting that their "power" and "stronghold" is such that the only way to "deal" with them is by allowing the imposition of such havoc on our lives in this way? We have a significant problem which is slapping us in the face and demanding our undivided attention; there is no question about that. And yes, this community has suffered loss, privately and nationally, in ways that cannot be measured. But we have not lost. Like much else in our lives at the moment, we will have to fight for our community. Fear cripples. Fear stifles. Fear weakens. We may quite possibly have the fight of our lives (literally and figuratively) on our hands, and as scary as that is we must embrace it because we cannot afford to pass the buck. If our elected leadership and our moral leadership cannot, or will not, step up to the plate then it is on us to take the lead. Start at home: take preventative measures; teach your youngsters to be more alert. But don’t stop there: do more for our community. Partake in an outreach effort into vulnerable communities (take a left or right off the main roads and you will find them). Open your home to a child in need. Volunteer your time and expertise to empower someone else with a new skill so they are better suited to join the workforce. Create your community watch group. Anonymous calls and blogs aren’t enough. It’s time to be seen and heard. Take back Cayman. One life at a time, one house at a time, one community at a time. (Jamaica Gleaner): The unifying influence of sport cannot be overlooked nor can the overall discipline which it breathes into the life of athletes and their affiliates. This explains why the next two weekends will be glorious ones for Caribbean athletes and their adoring fans. First, the local Boys and Girls’ Championship marks a century of competition at the National Stadium and next weekend, the Carifta Games will be staged in the Cayman Islands. The Carifta Games began in 1972 among English-speaking countries to mark the transition from the Caribbean Free Trade Association (Carifta) to the Caribbean Community (CARICOM). It was later expanded to include French- and Dutch-speaking countries. Amid all the intrigue and excitement that these games promise, I felt very distressed when I visited the Carifta Games website and learnt that of the 25 countries slated to participate, Jamaica and Haiti are the only two requiring visas for entry into the Cayman Islands. "A total 17 countries from the Caribbean, Europe and the United States took part. Within the overall Race Cayman event there was a youth event, racing in single-handed Bytes, and an adult event racing J/22s, a fixed keel boat typically raced by a crew of three or four,” Moon said. The youth regatta combined the Youth Olympic Games regional qualifying event and the Byte CII North American Championship, while the adult event was the CISC J/22 International regatta. Behind Barrows, Eugene Hendrix from the Netherlands (AHO) took the silver medal, with Spain’s Marti Llena, already qualified for the YOG but in the Cayman Islands to get some additional racing practice, taking third. In the battle for the Youth Olympic Games qualification places, the top four qualifying counties were the US Virgin Islands, the Netherlands Antilles, Bermuda and Cuba. In the girl’s division the four places went to Canada, USA, Cuba and the Dominican Republic. Oliver Fogarty was the top Cayman finisher in 12th place whilst Marina Maffessanti finished in 2nd place in the girls division. However, due to age restrictions Fogarty and Maffessanti are not eligible to participate in the Youth Olympics. In the J/22 event, eleven teams battled it out in the North Sound with nine races being held over the 3 days of competition. The Cayman teams Compass Marine and Ciao! led a strong field of international competition and faced tough challenges from Peter Harper’s Jamaica team from Montego Bay Yacht Club and the Bahamas team skippered by Jimmie Lowe from Nassau who were constantly in contention for the top spots. However, consistency paid off and Compass Marine finished in first place with seven first place finishes in the nine races, securing victory by a margin of eight points. The Ciao! team of Tomeaka McTaggart, Nick Taylor, Paul Johnston and Lindsey Macfee claimed second place with the Bahamians edging out the Jamaicans by 1 point to finish in 3rd place. Sailors were able to enjoy perfect Cayman sailing conditions with steady north to north east breezes at 12-15 knots. 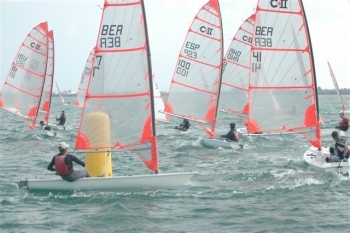 The Regatta was organized by Cayman Islands Sailing Club in conjunction with the Byte CII Class with support from Cayman Islands Government Ministry of Sport, Cayman Islands Olympic Committee and a large number of local sponsors. Particular thanks were expressed to His Excellency The Governor Mr Duncan Taylor and Mrs Taylor for inviting participants to Government House for an Opening Reception, Acting Governor Mr Donovan Ebanks, Sports Minister Mark Scotland, CIOC Olympic President Donald McLean, Chief Executive Officer Carson Ebanks and the army of volunteers who manned race committee, mark and safety boats, organized shore administration and social events, hosted visitors, secured sponsorship, lent boats, all of whom contributed to the event’s success. Visiting officials assisted with race management and jury processes and according to International Judge Harry Keith “the sailing was excellent as was the Race Committee work. The hospitality of the CISC and the general friendly atmosphere of the Island was fantastic. The whole trip was a total pleasure”. (The New York Times): Top Vatican officials — including the future Pope Benedict XVI — did not defrock a priest who molested as many as 200 deaf boys, even though several American bishops repeatedly warned them that failure to act on the matter could embarrass the church, according to church files newly unearthed as part of a lawsuit. 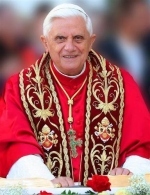 The internal correspondence from bishops in Wisconsin directly to Cardinal Joseph Ratzinger, the future pope, shows that while church officials tussled over whether the priest should be dismissed, their highest priority was protecting the church from scandal. The documents emerge as Pope Benedict is facing other accusations that he and direct subordinates often did not alert civilian authorities or discipline priests involved in sexual abuse when he served as an archbishop in Germany. (CNS): After a week of track and field competition Red Bay Primary School leapt, threw and ran its way to victory as the 2010 Inter-Primary School Sports champions recently. Just 8.5 points ahead of John A. Cumber Primary, Red Bay clinched the competition during the meets final event the 4×100 metre relay. 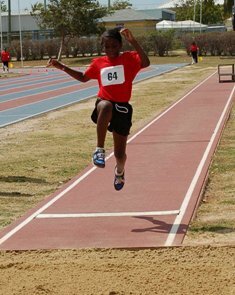 Fifteen primary and prep schools, including a contingent from Cayman Brac, fielded their best and strongest for Friday’s (19 March) grand finale. Schools with less than 150 enrolled students also qualified for a small schools award. East End Primary placed first in that category and Cayman Brac took second place. Prior to the day’s events participants were greeted and encouraged by Sports Minister, the Hon. 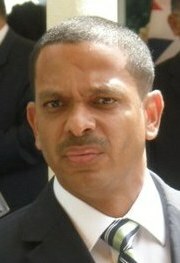 Mark Scotland; Education Minister, the Hon. Rolston Anglin, JP; Chief Education Officer Shirley Wahler; and Director of Sports Collin Anglin. Leader of the Opposition, the Hon. Kurt Tibbetts, JP; Bodden Town MLA Anthony Eden, OBE, JP; Education Ministry Deputy Chief Officer Christen Suckoo; and Cayman Islands Athletics Association President Rayal Roberts were also in attendance. (CNS): Cabinet Minister and Bodden Town representative Mark Scotland faced a barrage of questions from his legislative colleagues on Wednesday morning concerning, among other topics, the current medical director of the HSA. During the parliamentary questions session Scotland admitted that Dr Greg Hoeksema’s contract had been renewed without advertising the post. He said, however, that while this was contrary to government policy the HSA was, given its position as an authority, able to act outside of that. He said he had issued a directive to prevent this happening again. 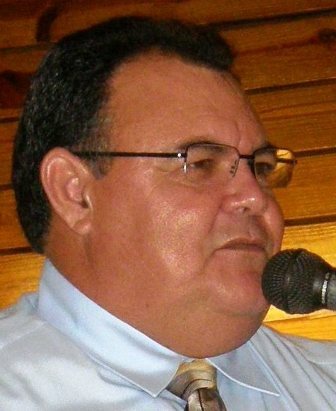 The MLAs probed Scotland claiming there was a suitable Caymanian who has expressed interest in the job. As the House opened for the fourth meeting of the 2009/10 session on 24 March, the probing of the minster was as a result of concerns by Ezzard Miller that there is a Caymanian qualified doctor with an MBA who was interested in the post. However, contrary to both government’s recruitment policies for public servants and the immigration policy, he was never offered an opportunity to interview when, Miller told CNS, he was amply qualified to do so. During the exchange Miller asked the health minister what post graduate qualifications that the current medical director had in management or administration. After a long answer listing Hoeksema’s experience as a doctor at more than six naval hospitals, Miller pointed out that he had not asked about his experience but his qualifications. After a number of supplementary questions and a refusal to accept the minster’s official answer, Miller probed until Scotland said the role did not demand such a qualification and admitted the director does not currently have a postgraduate qualification in business or management administration. During the exchange Miller also asked Scotland if the Cayman Islands Hospital was a naval facility, to which the minister noted the member knew the answer to that question. During the Q&A the minister stated that when the circumstances surrounding the renewal of the medical director’s contract was brought to hisattention he investigated the matter and was disappointed to learn that the contract renewal had not been advertised. “Despite my disappointment that an open recruitment process was not done, I would like to take this opportunity to go on record and state that as Minister for Health I have not found any reason to ask the HSA to terminate the medical director’s contract or seek his resignation,” the minister told the House. Miller also raised questions about what Hoeksema had done during his time, what clinical specialities he had and a number of other questions, including whether he was directly connected to the dismissal of an emergency medical technician as a result of the death of a patient through H1N1, which the minster denied. Opposition members Arden McLean and Alden McLaughlin joined the independent member, asking supplementary questions of the minister relating to the current medical director. Anthony Eden, the former health minister, also asked Scotland an official question and enquired about the current policies of the HSA with regard to the recruitment of returning Caymanian medical professionals. The minster said the policy was to actively support and consider all of them if they wanted to work for the HSA. He revealed that at present the HSA did not know how many Caymanians were out of the country studying and they were attempting to establish a database of information regarding qualified Caymanian health professionals. Scotland was also grilled by Miller on issues relating to a proposal submitted by the Baptist Health System to the board of the Cayman Islands National Insurance Company (CINICO). Miller asked if government was considering Baptist as its third party administrator before issuing a request for proposal or advertising the desire for a third party administrator. Scotland replied that the proposal was unsolicited and it was under consideration but that a request for proposal would also be issued. Asked if that would be influenced by the Baptist proposal, Scotland denied that would happen. He also stated that the discussions with Baptist Health South Florida for a direct agreement with the hospital would not mean that CINICO members would have to use their services but that they would be optional. He said no decision had yet been made on Baptist or any other potential third party administrator. The only minister questioned on Wednesday, Scotland was also quizzed on the state of the islands’ sports fields and asked what was happening by Alden McLaughlin, who said he had recently visited the Truman Bodden pitch and it was in a poor state of repair. Scotland said he was not aware the Truman Bodden pitch needed work and he would look into it. He said that since 2009 when the maintenance contracts lapsed, the company which had constructed the pitches, ARCP, was maintaining them at no cost. The Legislative Assembly resumes its business this morning at 10:00 am. (CNS): One of the country’s elected representatives made a circuitous bid to introduce a minimum wage in the Legislative Assembly on Wednesday (24 March). As a result of what he says is the failure of successive minister’s to legislate for it, Ezzard Miller attempted to tag on an amendment to the penal code to make it a crime not to pay a minimum sum. The North Side representative made his move during the debate for another amendment to that law regarding damage to property. Miller asked government to change section 240 of the penal code as well to make it an offence for anyone to utilize the labour or the intellectual capacity of another person in the form of employment when the compensation was less then $6 per hour. The attempt, however, to introduce a minimum wage was rejected by the government benches as it was claimed that to did so would create a double offence since there already existed provision for a minimum wage offence in the Labour Law. Speaking to CNS following the defeat of his committee stage amendment, Miller said he was doing everything he could to try and get a minimum wage into law on behalf of his constituents. Miller denied that his amendment would have led to a double offence as he said the provision does not yet exist in the Labour Law as no amount has ever been set and he indicated that if the country waited around for a minster to set the amount it would likely never happen. “I support the need for a minimum wage but successive ministers who have said they support it have failed to bring the legislation because of the processes involved,” he suggested. Miller said he was committed to the principle of a minimum wage and he would continue to find a way to have one brought into law. Miller related anecdotal evidence that people working in bars in restaurants during the seventies were earning over $10 per hour and today people were lucky to get $4.50 US. “There is something wrong with that equation,” the independent MLA added. He emphasised that people could not live on such low wages and that employers should not be granted work permits at those kind of rates. Although successive governments have offered their support to the principle of a minimum wage, one that appears to have populous backing, successive ministers have encountered a number of bumps along the way as a result of opposition from the business community. Miller’s indirect approach to secure basic pay for everyone was tabled in theLegislative Assembly during a debate started by Solicitor General Cheryll Richards, standing in for Attorney General Sam Bulgin, as she brought an amendment to the House to change section 267 in the Penal Code tofacilitate certain cases to be heard in Summary Court. Miller seized the opportunity to table his amendment to the same law in section 240 to make not paying someone a minimum wage an offence, which was rejected by the government benches, leaving low paid workers at the mercy of employers. (CNS): The arrest and charge of Cassandra Bodden for the importation of firearms and ammunition sends completely the wrong message to people about assisting law enforcement, her defence attorney claimed on Wednesday. Addressing the jury at the close of Bodden’s Grand Court trial, Ben Tonner (left) pointed out that the only reason why officials found the four guns and 420 rounds of ammunition was because Bodden had been honest and told people in authority that she was not expecting the package. The lawyer stated that if his client had remained quiet the inspection would never have happened and the guns could have made their way on to the street. Tonner said that far from being charged his client should have received a financial reward for her honesty, as stated under the Customs Law, for assisting in the prevention of smuggling. Tonner noted that instead of receiving thanks for her assistance in bringing it to the attention of officialsthat she was not expecting the package, alerting them to inspect it, she was arrested, charged and now faced a serious threat to her liberty. "Let that be a lesson to the next person who thinks about alerting customs to a package they are not sure about. What kind of message does that send?" Tonner asked the jury rhetorically, before he said that the guns would now be on the street, but by alerting the authorities she prevented that from happening. "But look how she is being rewarded,” he added. Tonner also noted the missed opportunity by law enforcement to track the real criminals. By arresting this innocent young women instead they had missed the chance to follow the package and track who the weapons were really intended for, he observed. He noted that the crown’s case was based on its assumption that Bodden was guilty of importation because she knew the guns were in the package. But, he said, the crown had fallen far short of proving that his client had any knowledge whatsoever of the guns. Tonner said his client had absolutely no idea that the package contained firearms and ammunition and the crown had not proved otherwise. Tonner told the jury that his client had virtually shouted from the roof tops that she was not expecting the package and was unsure of the content. He asked them to use their common sense and ask themselves if they really believed that her behaviour was that of someone who knew the package was full of guns. Four hand guns and 420 rounds of ammunition had been found by customs officers when they inspected the package sent to Bodden. The court heard that the package was a child size "Barbie Power wheel" toy car and that the weapons had been hidden under the seats in the interior of the toy. During her closing statement Trisha Hutchinson, who was prosecuting the case for the crown, suggested that all of Bodden’s protestations of innocence were deliberately concocted so when the game was up and the authorities discovered the weapons she had covered her tracks. In the end, Hutchinson suggested that Bodden had gone too far with those protestations and tripped herself up. Hutchinson said her behaviour demonstrated that she knew the guns were there as she had paid all the fees associated with the toy and she had still gone to collect the package, despite being warned not to by several police officers who were her friends. Hutchinson claimed she had also tripped up, as revealed by witnesses, when she had given conflicting statements about what she had said in relation to the contents of the package. In the days leading up to the discovery of the weapons, Hutchinson said, Bodden had told some people she might know who the package was from and that she was aware the package contained a toy car, while she told others she was not expecting anything and did not know what was in the package. Hutchinson said Bodden’s claims of ignorance were "the cover story" to fall back on if she were discovered. The crown prosecutor told the jury to study Bodden’s statement carefully as they would see her protestations of innocence seemed too contrived, as she was "trying to cloak the presence of knowledge" of the guns. She said Bodden was not being straight in order to cover up the fact that she knew what was in the package. “She knew, she knew,” Hutchinson insisted as she drew her opening statement to a close. Justice Howard Cooke, the presiding judge, adjourned the case until 10:00am Thursday morning when, he told the jury, he would give them his summing up before they were sentto deliberate on their verdict.